Coastal Living just released its list of best coastal bike trails on its website. 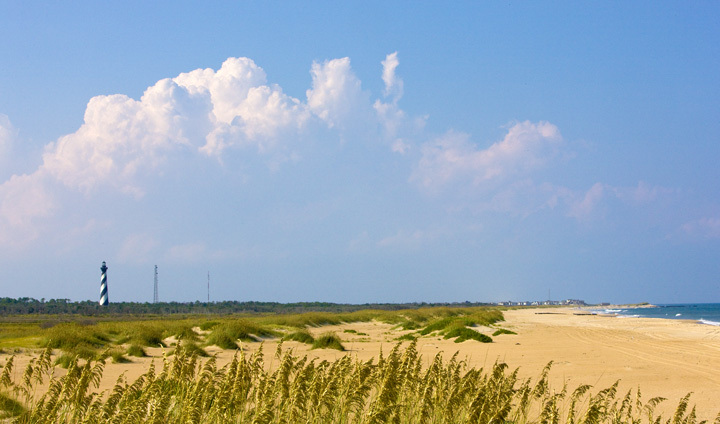 It came as no surprise to us that the Outer Banks made the list. Hatteras Island is known for its abundance of recreational activities, including a favorite past time for young and old – riding bikes. For distance cyclists, there’s no better route than right along NC Highway 12. With a bike lane that extends for 55 miles, and a flat, even route throughout the entire stretch, (aka, no hills), Highway 12 attracts cyclists from all over the world who want to go the distance and enjoy some amazing scenery along the way. Looking for a more leisurely ride? Explore the trails along the Pamlico Sound and maritime forests. 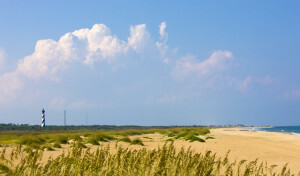 For example, the National Park Service grounds around the Cape Hatteras Lighthouse offers a multitude of trails, or the Salvo Day Use Area has small paved unused roads winding along the sound. Many communities, like Wind Over Waves and Hatteras Colony in Salvo and Avon, are also perfect for bicyclists, with winding roads and little traffic. Kinnakeet in Avon and Hatteras Village are especially nice for bicycle rides with historic houses and scenic architecture and island historical spots. 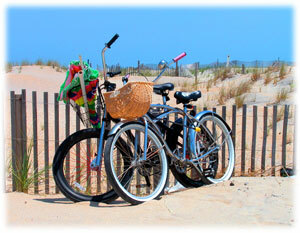 If you didn’t bring your bikes with you on your vacation you can always rent them! Ocean Atlantic Rentals offers bike rentals, as well as rentals for just about all of your beach needs, and they offer delivery service! 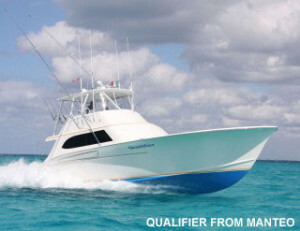 Visit them online at www.oceanatlanticrentals.com, or call their Hatteras store at (252) 995-5868. The 53rd annual Big Rock Blue Marlin Fishing Tournament is happening June 10th-18th along North Carolina’s Crystal Coast. Big Rock is a modified release tournament targeting blue marlin, white marlin and sailfish. Gamefish levels include dolphin, tuna and wahoo. This six-day event will bring out hundreds of the best fishermen in the world, all hoping to take home part of a cash purse that exceeds more than $1 million – a huge difference from the original Big Rock purse of 250 silver dollars! 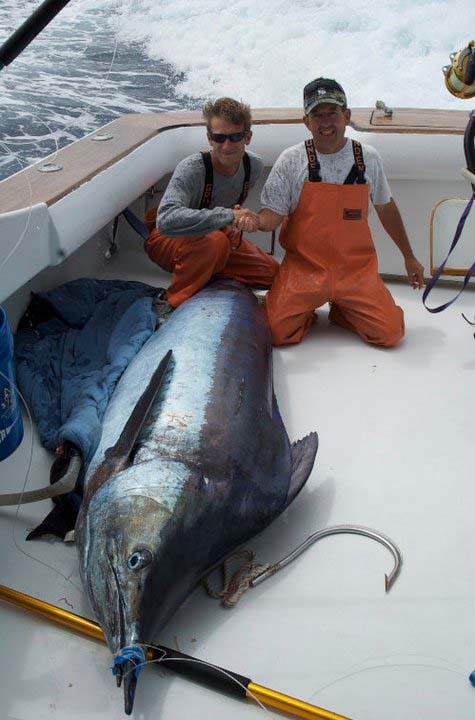 The waters off the coast of the Outer Banks and along the coastline of North Carolina are notorious for their record breaking blue marlin catches. Did you know there was a time when the existence of blue marlins along the coastline was purely a myth? 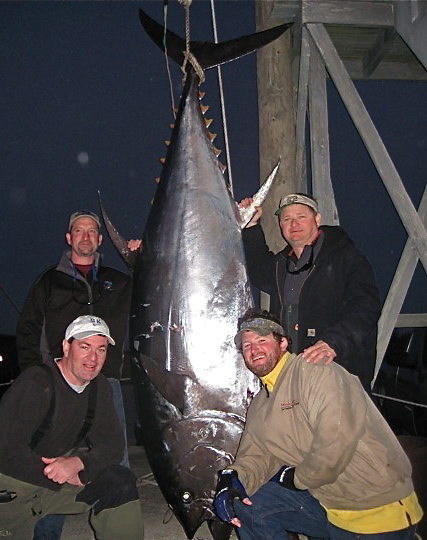 Residents in Moorehead City, NC had been told many tales by sailors about the blue marlin, and eventually decided to find out for themselves if they existed or not. In the summer of 1957, the small town raised a small cash prize and a small charter boat fleet headed out in hopes of catching the elusive fish. During that summer, many captains claim to have spotted the marlins, but none were ever caught. That all changed September 14th when Raleigh angler, Jimmy Croy, snagged a 143-pound blue marlin aboard the Mary Z. The crew radioed in their catch, and by the time they pulled into port the small town had gathered to greet them with an impromptu parade and a wagon full of silver dollars! For more Big Rock history, click here. 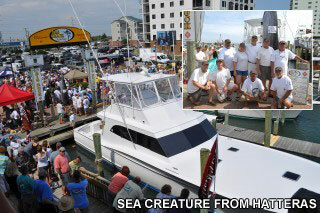 Last year, 155 boats fished the waters off Morehead City, North Carolina and competed for a record purse of $1,658,450. This year looks like it’s shaping up to be an even bigger event, with the 14th Annual Keli Wagner Big Rock Lady Angler Event kicking off the festivities the evening of June 10th. For the complete schedule of events, click here. 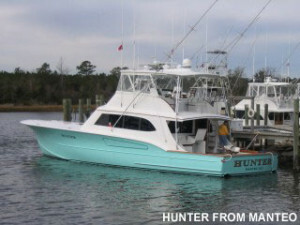 Local boats Hunter and Qualifier, both from Manteo, and Sea Creature from Hatteras have already registered and are gearing up for the tournament. On Big Rock’s website you can listen to the captains throughout the day via their boat radios. At the end of the day they also have live feed of the boats coming in to weigh, which you can watch here. For more information on the Big Rock tournament, click here. 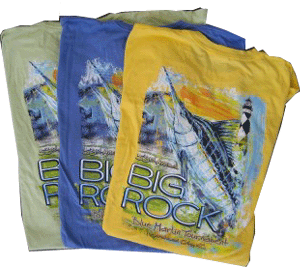 For a list of retailers selling this years Big Rock T-shirt, click here. Watch last year’s weigh-in video here. The National Park Service has announced that night beach driving permits are now available for off-road vehicle use on the ocean beaches between 10pm and 6am. The permits are available from September 16th to November 15th, 2010. The night driving permit must be read, signed and dated by the driver of the off-road vehicle and must be visibly displayed on the dashboard of the vehicle. You can download and print the permit from the national seashore’s website at http://www.nps.gov/caha/planyourvisit/off-road-vehicle-use.htm. The permit should be printed in color, if possible. A hard copy of the permit is available at any Cape Hatteras National Seashore Visitor Center, Whalebone Information Center, the Hatteras Weather Station in Hatteras village, as well as local area tackle shops. Visitors, be aware that there are sea turtle nest protection areas in effect and please drive with caution. These posted areas are closed to all ORV, pedestrian and pets. For more information, please call the National Park Service at (252)473-2111 ext 148. 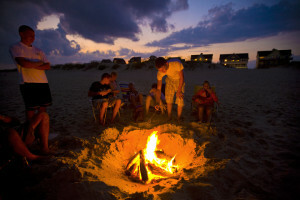 Beach bonfires are a fun way to enjoy the Cape Hatteras beach at night. Far from bright city lights, there is nothing quite like the crackling sound and campfire smell of a beach bonfire – with its warm glow illuminating the night sky. Be sure to stop by area convenience, grocery or tackle stores for conveniently bundled firewood and a shovel. Don’t forget to grab graham crackers, chocolate bars and marshmallows for making warm gooey s’mores! Simply delicious and oh so fun! Sitting around a beach bonfire is a great way to end the day, sharing stories and spending time with family and friends. Before heading to the beach with all of your supplies in tow, be sure to read, print, sign and date your Beach Fire Permit. These permits are required as of May 1, 2012. Please review the rules set forth by the Cape Hatteras Seashore Recreational Area to ensure the safety of you, your family, and the surrounding natural environment. -Bonfires are allowed from 6am to 10pm (prohibited between 10pm and 6am). 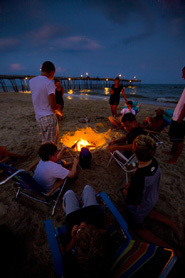 -From May 1 to November 15, bonfires are allowed on the ocean beaches of Coquina Beach, Rodanthe, Waves, Salvo, Avon, Buxton, Frisco, Hatteras, and the Ocracoke Day Use area. -From November 16 to April 30, bonfires are allowed throughout the park. -The bonfire permit must be present and signed by the reponsible adult (18 years of age or older) in attendance. -Fires are prohibited within resource protection closures or within 100 meters of any turtle nest closure. -Bonfires are to be no greater than 3 feet in diameter and may only be ignited and maintained seaward of the ocean dune, below the high tide mark and at least 50 feet from any vegetation. -The use of non-wood products or wood products containing non-wood items (e.g., metal, glass, plastic) for fire construction is prohibited. -Fires cannot be left unattended and must be completely extinguished (cold to the touch) upon termination of use. Please be sure to clear your area of all trash before leaving the beach and remember the to leave the Cape Hatteras National Seashore beaches in a clean and safe condition for the next visitor. 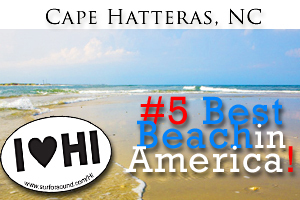 Cape Hatteras was named the 4th best beach in the US for 2010 by Dr. Beach! Up from #7 on the list in 2009 and #8 on the list in 2008, Cape Hatteras is an excellent place for beachcombing and fishing. The Top 10 list is compiled each year by the coastal expert Dr. Stephen Leatherman, director of Florida International University’s Laboratory for Coastal Research knows as “Dr. Beach.” He uses 50 criteria to measure the beach quality. Some of these include sand and water conditions, cleanliness, wildlife, weather, safety, views, and amenities. 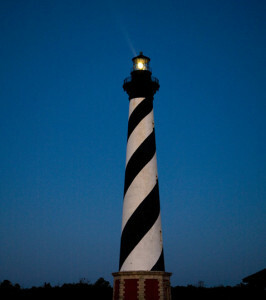 We hope you will make Cape Hatteras of North Carolina your travel destination this year!